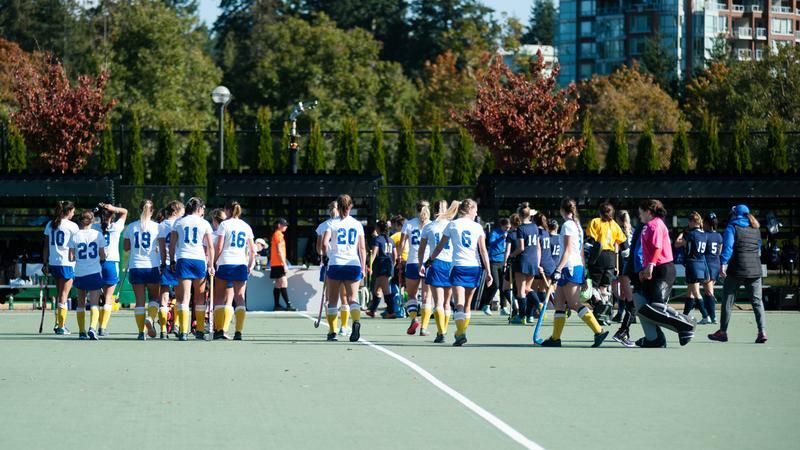 The UBC Thunderbirds women’s field hockey team has already marked their place in U Sports history books. Actually, they’ve done so 18 times since 1978 — they are also the six time reigning champions, having won each national championship since the 2011/12 season. Putting into context, that means UBC fifth-year players have won a national championship every year of their U Sports eligibility. To say that the ’Birds played well this season is an understatement. The team went undefeated for the second season in a row and have not lost a game since November 5, 2015. They went 7-0-1 this season, with just one tie in Canada West against their arch rivals the University of Victoria (UVic) Vikes. More importantly, the ’Birds played a balanced game between offence and defence all season, outscoring their opponents by an impressive 22-5. Much of the solid defence can be attributed to world-class goalkeeping from fourth-year veteran ’Birds keeper Rowan Harris, who was named Canada West player of the year and goalkeeper of the year for 2017/18. Despite there being only two other teams in this year’s Canada West conference — the Vikes and the University of Calgary Dinos — the ’Birds absolutely dominated and are looking to be in good form leading up to this weekend’s clash on campus with the York University Lions. However, this will be a different nationals experience for the ’Birds, as they face the Lions in a best-of-three series — the Lions haven't made the championship since 2007. This year’s Lions squad is a resurgent team that went 11-1-0 in Ontario University Athletics action — a league which includes Ontario and Quebec powerhouses such as the University of Toronto Varsity Blues and the Guelph Gryphons. The Lions offence exploded this year, racking up a whopping 51 goals while only allowing six goals themselves. It’s more than an impressive tally — but to be fair, almost half of those goals came from two blowout games against the low-ranking University of Waterloo Warriors. Even so, the ’Birds might just be faced with their biggest challenge yet. This weekend’s game against the Lions at Wright Field could prove to be a clash between two Goliaths. While only one will lift the U Sports trophy at the end, it’s sure to be an entertaining matchup between the two best university teams in the country.